One of life's certainties is that there is always room for a sweet treat! Our vintage style with a modern twist is showcased in this nostalgic ice cream collection. 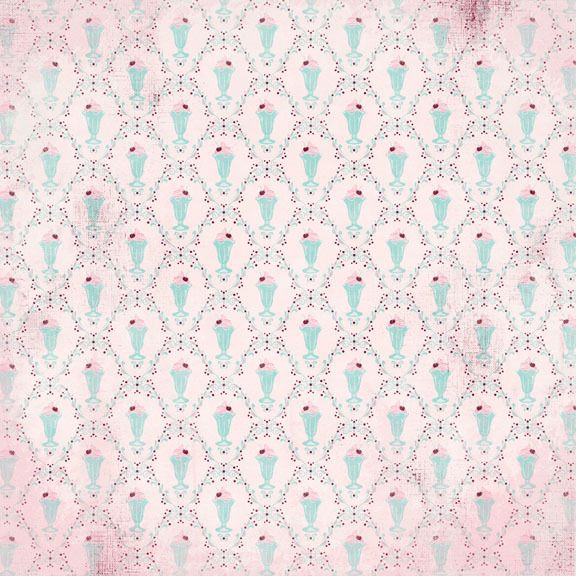 An old fashion parlor awning, sundaes with cherries on top, ice cream cones, and, of course, sprinkles define this collection and give it it's name, "Sweetness". 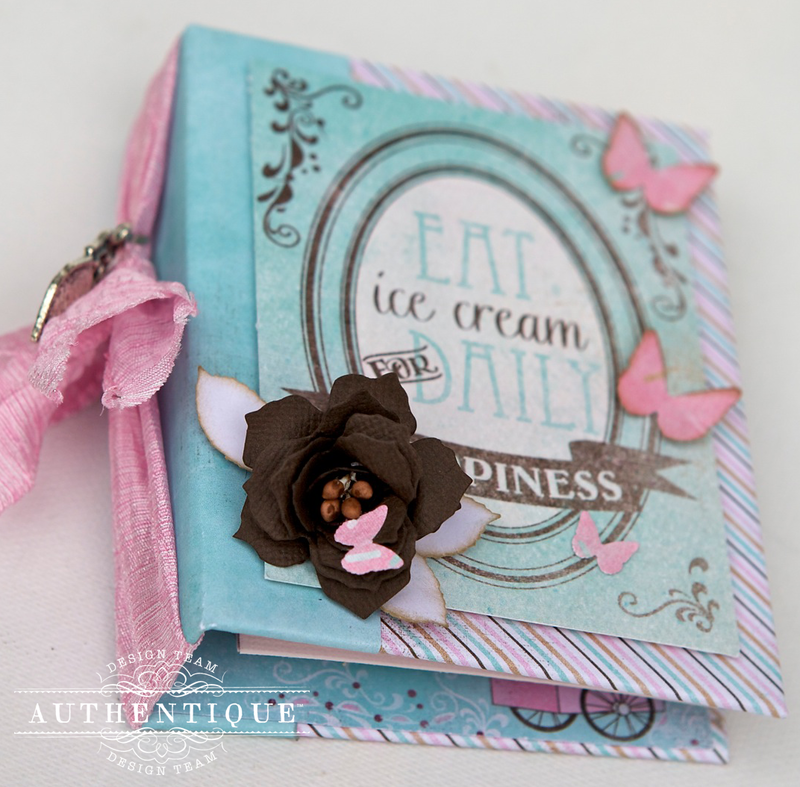 We are pleased to present this adorable petite collection, "Sweetness." The designs are decadent, and classic - whether young or old, hold or cold, there is no doubt in our mind, you will be tempted to create something sweet! 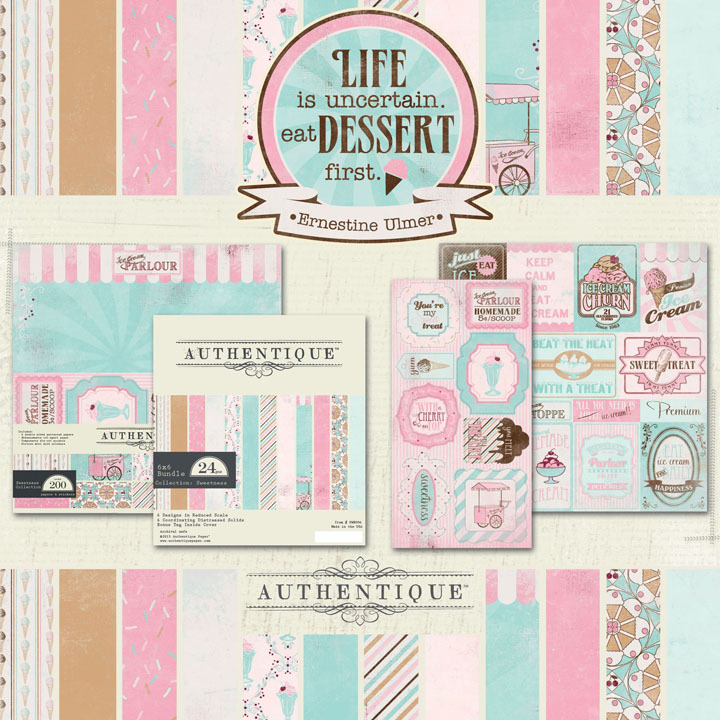 A product announcement wouldn't be complete without showcasing a super-sweet layout created by Design Team member Loes! We want to GIVE AWAY an "Sweetness" prize to one lucky fan! Just leave a comment telling us what you love about this collection and we will draw and announce a winner in our "Winner Round-up" at the end of this month! This is perfect for those summer photos of my kiddos! I love the creamy colors and it's Authentique! Enough said!! Oh wow---what a beautiful collection!!! So soft, really pretty colors. Sweetness is just adorable, lovely colors and cute graphics all rolled into one. I have some pictures of my family and I when we visited a real vintage icecream shop. Sweetness will be the perfect collection to use with them. Oh, MAN! This is gorgeous--I *need* It! I love the cut apart advertising signs paper. Oh what fun. !! that saying about life is great! Any collection that starts with "Life is uncertain, Eat Dessert First" has got to be the sweetest ever. 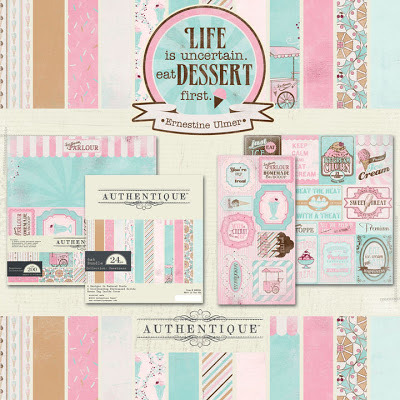 What gorgeous soft colors and adorable designs. Very reminiscent of childhood with all those sweet treats. Love the feel of this collection and the fun. 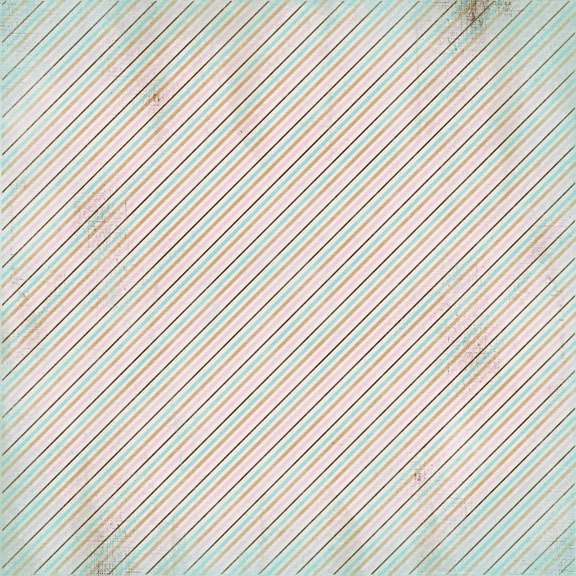 One of my favorite things about Authentique's themed lines is that there is always a B side to the paper that can be used for any pictures ! Love the pink in this line. Such a cute line! I have to say that I'd love to make some cards and/or decor pieces with the bits from "Cut apart advertisements & signs" featured. 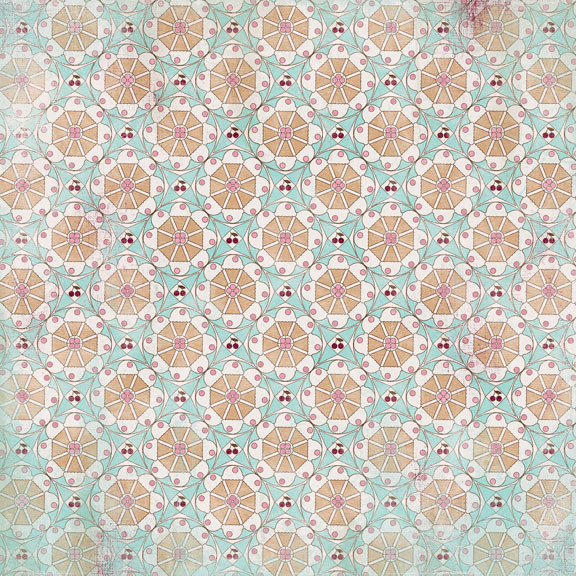 This is sweet--I like the colors and patterns. 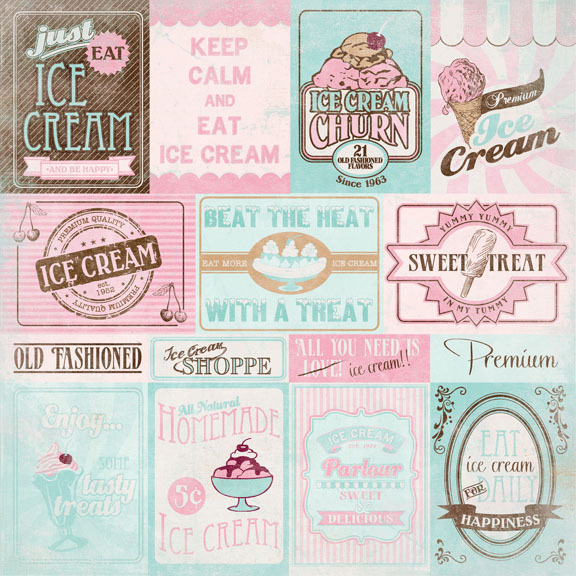 I love the soft pastel colors and I especially like the ice cream images. Very darling. Love the lovely soft colors. 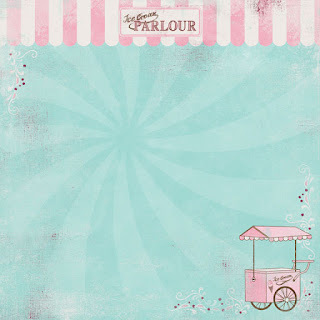 I love the pretty summery ice cream colors, such a versatile collection, perfect for many summery layouts! Such a sweet range of colors and love the ice cream theme! These would go perfectly with the photos from our new (old fashioned) ice cream parlor visit! I love the style and quality of all your papers. The soft pastels in this one are great. I especially love the inclusion of that great geometric pattern! I LOVE LOVE LOVE this collection!! I love the colors, to the sweet designs, and it would be perfect for a Mini album with all the sweet extra's. Absolutely DARLING!!!!! I want this entire set!! Added to my wishlist! What fabulous colors and who doesn't like dessert? Great collection. I love the colors and the patterns. 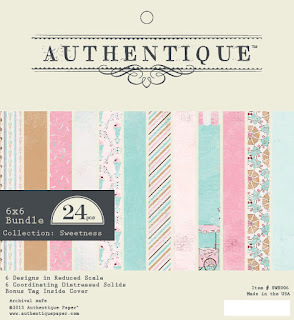 I really love that this collections would be great for masculine and feminine layouts and cards. Which really works for me, I'm the only female in a house full of males. 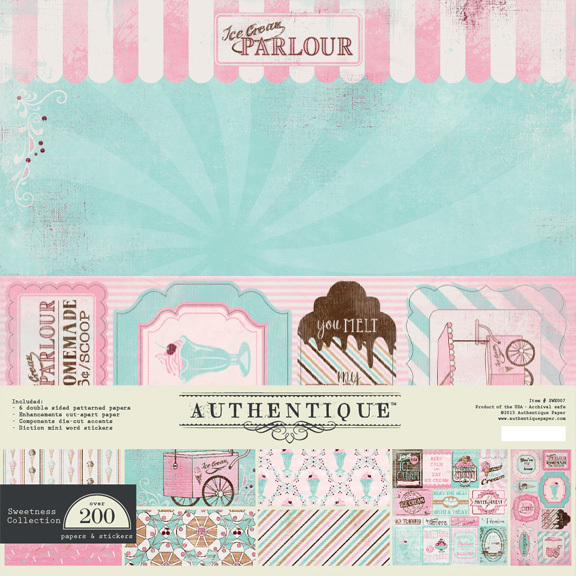 Absolutely amazing colors - could easily be used for so many applications including baby, shabby chic and vintage projects...these papers are truly a delightful indulgence! Well, I LOVE desserts, and love IMAGES of desserts. The sprinkles paper, and the decadent paper are my FAVORITES! Love the soft colors and vintage twist!! So pretty! I'd love to use this paper to make invitations for friends to join me for ice cream. Wouldn't that be fun? I love the patterns, but the colors are wonderful, too. This is just my style! Beautiful. Love, love, love the colors!!!!! love the retro feel to the collection. the collection is so cute. Absolutely adorable! Love the color combo!! 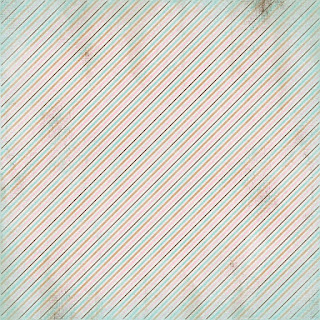 Beautiful paper and fun paper. Thats a win-win. Thanks! Love everything about these papers!! The name, the colors... Oh it is gorgeous! Love the yummy colors and theme! This collection's theme is wonderful, especially for summer. My husband and I love making ice cream in the summer, so I have lots of ideas for how I'll use this collection! Wonderful! 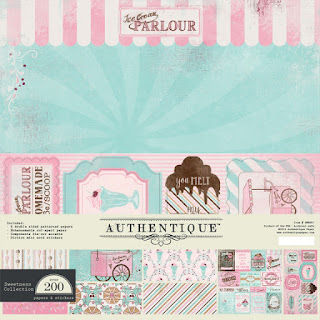 Love the versatile colors and style of the papers, and the signs and accents. such a sweet collection! love the colors very beautiful and great patterns. 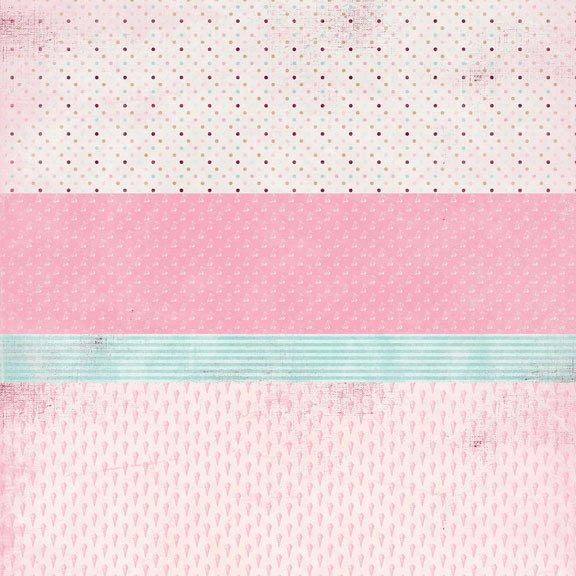 Love the pastel colors. Would make excellent baby cards. Love the soft yet bright colors! The words are perfect for summer activities...time to break out the ice cream maker! Definitely hsaring on Pinterest and FB! I love the colors! They will make some beautiful cards and pages! Nostalgic yet modern-looking. A beautiful set! 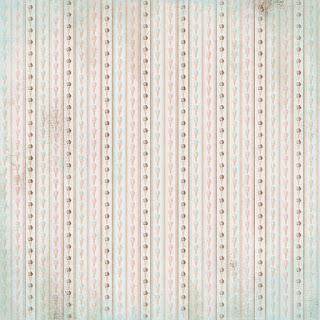 I just absolutely love those nostalgic pastel colours....so,so pretty. 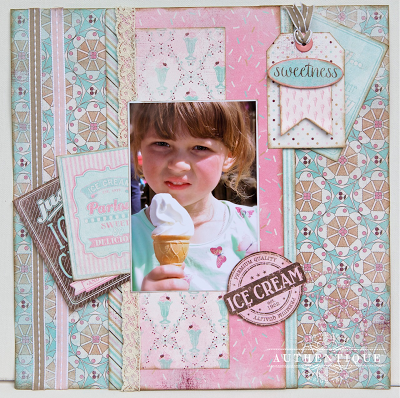 It may be vintage looking but it goes perfectly with modern photos as Loes showed. I can see lots of future projects for me with this amazing new collection. 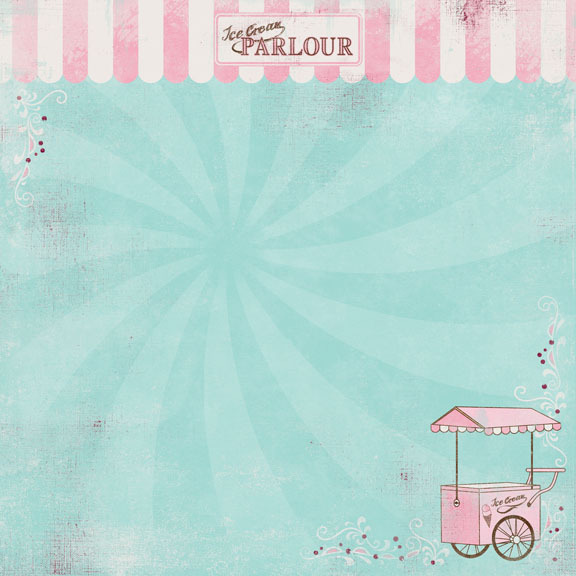 Love love love the shabby chic colors with the vintage ice cream parlor theme. These amazing die cuts will be perfect on cards, layouts, and mini albums. IM IN LOVE!!! Lol. Thank you for the chance to win this beautiful collection and for making this collection. I hope everyone has a beautifully blessed week. It' summer and everyone love ice cream. Beautiful soft colors. I love this Sweet Collection as much as I love ice cream! These pastel colors are so pretty! love the colors..I am such a pastel lover!!! the collection looks amazing!!! great job! This paper collection looks 'yummy'!! Love the colors!! Beautiful and soft colours!!! Ice cream in the summertime??? Of course!!!!! Thanks for the chance to win! Sweet sums this up perfectly! Get me some hot fudge and a cherry and I will be in heaven! Would love to add this to my craft recipe box! Thanks for the chance! I like the blue and pink color combination, it can be used for boys, girls and grown-ups!. Thank you for the chance to win Sweetness Collection. Pink and Ice Cream, wow my two favorites!! Love the new collection, thanks for a chance to win it. Sweet! I love the colors and the lil ice cream cart is so cute. Perfect for cards and perfect for summer. But it also can be used in alot of different ways. I really like that. Truly a sweet, petite, treat. It's so lovely it has me thinking of tons of layouts of my sweet niece and my 4 legged doggie daughter who both love a treat. These papers would be just perfect!! Thanks for the chance to win. Gosh, this collection is simply perfect! 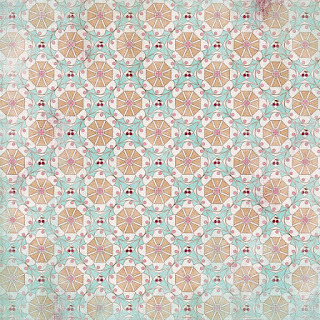 I love the sweet and feminine colours and patterns. What a gorgeous color palate for this collection! So pretty! What's not to love? It's so cute and pink! Which is perfect because we're adding a little girl to the family soon! Makes me want to go out and get an ice cream cone! The colors scream Summer!! Oh this is perfect for all our pics we have of Uncle Steve's Ice Cream Shop!! Oooooh. 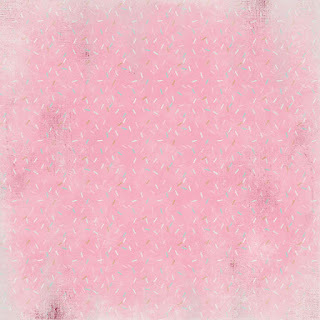 I love that paper with the sprinkles on it! And the cut-apart page and, and, and.... OK, I love it all. Thanks for the chance to win! I love the tone of pink with the light aqua and the soft tan in this collection! Perfect ice cream parlor colors! Thanks so much for the chance to win some sweetness! Scrumptious! I love the colors! I have one grand-daughter and one on the way so this collection would be wonderful for girlie layouts as well as summery! I love the icecream theme.. it reminds me of when I was a kid in the good ol' days! Oh my sweet goodness these colors and prints are so yummy!!! I love the colors and it's ICE CREAM! You posted it on the first day of summer, nonetheless... I keep seeing sherbet, sundaes and mint chocolate chip when I look at this collection! ohhhh love the blue and pink together! What can I say that hasn't been said before my comment. The designs are whimsical, bright and fun. I can already think of tons of card ideas. I can uses my Epiphany punches to make charms with this paper , it would be fantastic. Good luck all. I can't wait for this to hit stores. When will that happen? I like that the colors aren't bright or too much. They have more of a vintage look to them! I also like the ice cream parlor signs. The entire collection looks tasty!! I usually shy away from pink papers but these are just lovely. The dusty vintage look is just gorgeous! love the colors. they work very well together. Just love the sweet pink and pale aqua soooooo much!!! Would love to win this. Thank you for the chance! Wow! I love the pink and pale aqua with the little bit of brown thrown it!! Great collection! What a great collection! 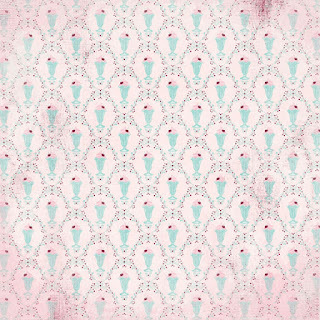 Love the color palette and all the wonderful ice cream motifs. I can see so much fun with this line. Thanks for the chance to win! Lovely collection, very sweet with such soft colors and great possibilities! I think the cut apart sheet is just too cute, and the sprinkle paper! I'd love to do a layout about baking with that sprinkle paper! I love the shades of the colors! My favorite thing about this release is the Pinks and Tiffany Blue throughout the set! My two favorite colors! Just beautiful! Sharing CHA releases to my blog this week.